DANIEL: Back up towards the barn. GRANT: Vulture right over there. Let’s see what’s – see if there’s something over there. DANIEL: If this clover flushes, it may be. DANIEL: It’s gonna be awesome for turkey hunting. GRANT: If it doesn’t get too tall. This stuff’s gonna grow quick. We’ll see. But we’ve got so much. Yeah. There’s a dead deer right there. DANIEL: Came down the creek. GRANT: I heard some dogs on the property the other day. GRANT: Daniel and I were out filming in a food plot and come up here to turn around and I saw a vulture fly off. I always want to check where vultures are on the ground because they’re usually feeding and sure enough uh, looks like a fawn that got washed down the creek here. Nothing we can really tell from it now but we’ve had a lot of pictures of dogs running the property and coyotes. So, not surprising that something took it down. GRANT: Of course, this time of year, rabbits haven’t started reproducing. Most of the rodents haven’t started reproducing yet, so coyotes are taking these – and dogs. Don’t, don’t forget that dogs can be vicious predators. Because they’re pretty closely related to coyotes. Uh, can take down these – last year’s fawns. This was, of course, born last year and um – anyway. We don’t know for sure the cause of death but something took it down and one less here at The Proving Grounds. GRANT: In the Ozarks, the creeks tend to be extremely clear. Especially on our place because there’s no erosion. And it looks like the water is so pure but this is exactly why you should never drink out of a stream anywhere. ‘Cause you don’t know what’s upstream. You know, 100 yards down, I’m sure this looks pure. But this is just flooding bacteria down the creek. And I’m sure if you drank downstream right now, you would get very sick. Never drink unless you’re using a water purifier out of a stream. GRANT: Our two current interns, Jacob and Tyler, are at Jacob’s family farm in Tennessee right now chasing toms. Gosh, I gotta tell you. The life of a GrowingDeer intern is rough. Next week, Daniel and I are scheduled to be out in Kansas chasing toms with a bow. GRANT: Practicing in the shop is perfect because most of the time when I’m hunting turkeys with a bow, I’m using decoys and the shots tend to be relatively close. GRANT: (Whispering) He’s down. He’s down. GRANT: Rainy day here at The Proving Grounds, but we’ve got a turkey hunt out in Kansas – an archery turkey hunt scheduled soon. So, it’s the perfect time to get out in the shop and practice for that hunt. GRANT: Unlike when I’m chasing whitetails or elk with a bow, when I’m chasing turkeys with a bow, I usually end up getting a shot when I’m sitting down. GRANT: When you’re sitting, you want to make sure that your form from here up is the same as when you’re standing. So, I’m gonna shoot across my body. I don’t want my chair pointing right at where I think the turkey’s coming in. I’m gonna shoot across my body and I’m gonna set up for that situation. GRANT: I am shooting the Prime Logic which is a little shorter axle to axle. 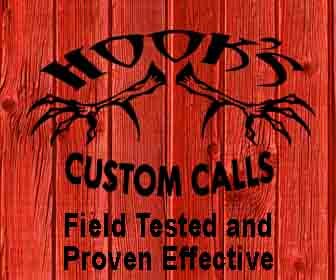 Easy to move in a blind or a turkey situation. 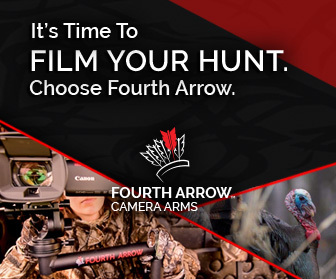 GRANT: When you’re chasing turkeys, your shots are often ten yards or less when you’re bow hunting. So you can practice indoors but you need a great, safe backstop. I’m using the Morrell High Roller. That baby will stop an arrow out of any bow or crossbow. 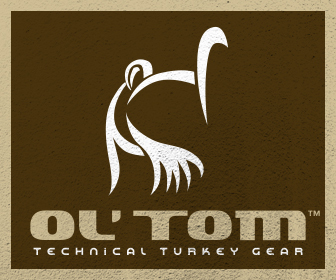 GRANT: If you’re in a good blind, sometimes that tom will come in four or five yards. And some guys get boogered up because they put the 20-yard pin on there and take a shot. Remember, your sight pins are way above the arrow path and the arrow is arcing up, going through that 20- 30-yard pin and then falling down. When that turkey is in there four or five yards, I put my 40-yard pin exactly where I want to hit and the turkey is coming home with me. GRANT: Another thing about hunting critters that get real close to the blind – your pins may clear the opening in the blind, but your arrow is not. And that’s embarrassing when you shoot through your blind. So, make sure the path of the arrow clears the window of the blind. GRANT: The best way is to take a few shots at four or five yards and see which pin will work best for your setup. I’m gonna take about seven, eight yard shot, use my 20-yard pin, see what happens. GRANT: I call that one dead. GRANT: At seven yards, I’m kind of in the game. Let’s move up to four yards and see what happens. All right. We got a big, ole tom strutting right in front of us, close to the blind. See what happens. GRANT: I’m putting the 20-yard pin right in the center. And I’m four inches low from where I was aiming. So, I would’ve been way low; probably wounded a turkey. GRANT: Now, let’s try it with a 40-yard pin right in the same spot. Dead turkey. GRANT: We’ve shot a couple of times. One using the 20-yard pin and those holes are right here. And again, using a 40-yard pin. Even though the turkey is only about four yards away and the arrow went in the exact same hole as when I was using my 20-yard pin at eight yards. GRANT: Now that we’ve worked out which pin to use, it’s time to get in the blind, make sure my bow is clearing and practice shooting through the window. GRANT: I had plenty of room because I was in the back of the blind; my bow cleared just fine and I was able to make the shot. 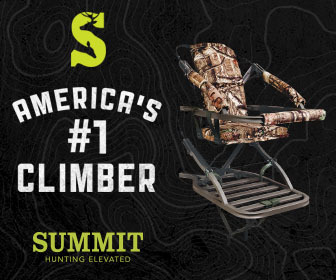 GRANT: Not only is turkey season just around the corner, but soon – and it’s hard to believe with this heavy coat on – it will be time to plant spring food plots. GRANT: A beautiful, sunny morning here at The Proving Grounds. It’s been cloudy for several days. So a good time to check out the food plots. GRANT: We’re in a plot we call Hidey Hole One and last fall, we planted this with Eagle’s Buffalo Blend. The first thing I notice is I see a lot of duff, still, from the previous year – a year ago – of the cereal rye and forage wheat that we crimp down or use the Steel Buffalo – the Goliath crimper – to crimp and that’s still covering the ground. Most of it’s decomposed and providing nutrients. But there’s still enough on the ground to really limit weeds coming through. GRANT: In addition to suppressing weeds, it’s helped hold moisture in all winter. We’re wet right now, but we’ve been really dry. And that ground cover of mulch has kept the moisture in and kept it from evaporating into the air. GRANT: The Buffalo Blend we planted last fall has clearly been browsed extremely hard but fed the deer herd throughout the winter. Now that the temperatures are warming up, you can see the cereal grains – the grass looking stuff, this is a combination of cereal rye and Eagle’s forage wheat coming on – but the secret ingredient this time of year for right now, is the annual clover. GRANT: Now that it’s warming up, we’re seeing the clover. We didn’t see it all winter. That annual clover germinated and produced a root system. Now that it’s warming up and the sun is coming up, it’s flushing on top, providing really high quality, high protein forage. GRANT: This time of year, deer are switching from craving carbohydrates to build energy and fat to stay warm – to protein for growing antlers and developing fetuses or nursing fawns. GRANT: I expect soon, with some warmer days, the clover will start outgrowing the deer herd and this field will look beautiful. Then the rye and the wheat will bolt – it will get three or four feet tall. We’ll drill right through that – drill our Eagle Seed forage soybeans into it. Then, we’ll bring the Steel Buffalo in and actually crimp after we drill. The soybeans will be about this tall. But down in three or four feet of the Buffalo Blend, so the deer aren’t sticking their head down in there and nipping it off. They’re still eating the clover. It’s for filling the gap. Clover is providing high protein now until it’s warm enough for the soybeans to be productive. This keeps an active root growing as many days throughout the year as possible. GRANT: That’s critical ‘cause those roots are leaking out carbon and other great minerals and nutrients for the other plants to use. With the Buffalo System, we’re minimizing inputs. I won’t use any fertilizer because these decomposing plants are my slow release fertilizer. GRANT: I probably won’t have to use any herbicide unless it gets really dry and the deer eat it to the ground and the weeds have a competitive advantage. Because this is growing so rapidly, it smothers the weeds out – saving me time and money so I can put that in developing new food plots. We’ll keep you posted on this system throughout the growing season. GRANT: I love utilization cages as a tool. 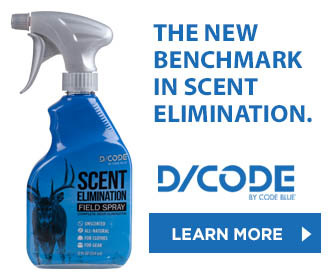 Not only the food plot management but an overall deer herd management tool. Simple wire basket; piece of wire about 12” long, 4” tall. Make a little cone; stake it to the ground. It keeps deer out, so I can see how tall the forage will grow without browse pressure. GRANT: Look outside. Pretty much nipped to the ground. Inside – foot, foot and a half tall. It’s amazing when you think about the acres of food plots we have – how much tonnage deer have removed. GRANT: You probably can see the rows where we drilled the Buffalo Blend into a stand of perennial clover. By doing that, the cereal grains and brassicas and stuff that were in the Buffalo Blend provided tons of forage that the clover wouldn’t have provided throughout the dormant, cold winter season. Coming on this spring, it’s providing more tons. GRANT: The clover is gonna start to bolt. You know what they say about clover. It sleeps and then leaps. And we’re just getting warm enough here at The Proving Grounds for it to leap. GRANT: Inside the cage, it’s probably four – three to four inches tall. Outside, it’s about an inch ‘cause the deer are keeping it down. But I’m confident within a week or two and better growing conditions, it will outgrow the deer herd and provide a lot of quality forage. GRANT: Perennial clover is easier to manage if you drill into it and have a winter cover crop because it suppresses the weeds. Same thing during the summer when it gets dry and clover tends to go dormant. If nothing is growing, of course, weeds are gonna fill that void or vacuum. So, we’re switching most of our perennial plots once we lose ‘em – four or five or six years later – to annual clover and to the overall Buffalo Blend. Because as we’ve showed you, the Buffalo Blend has an annual clover in it. GRANT: And when clover is doing productive, I’ve got clover everywhere. And when clover is not productive, I have other species, forage species, that are better for those conditions. GRANT: As dark and lush as this looks, it’s important to know we’ve not added any source of fertilizer whatsoever to this field in five years. That’s because in the Buffalo System, we use a variety of species that are good at extracting different nutrients out of the soil. Each species has a purpose besides feeding deer. GRANT: And when I dig around and I see some of the duff that’s underneath here, that’s last year’s Buffalo crop decomposing and providing those nutrients, slow release form, to the soil. GRANT: If you think about it, when it’s dry and the forage isn’t growing good, then the duff from the past crop probably isn’t decomposing very rapidly because there’s not moisture. And when it’s moist and the plants can grow well, that’s when the crops are decomposing the fastest, providing those (Inaudible) nutrients to the soil. It’s perfect timing fertilizer – just as nature planned. GRANT: It’s hard to imagine this many tons of forage that’s been removed throughout The Proving Grounds. So, I can tell you already, we’re looking at another large doe harvest this fall. 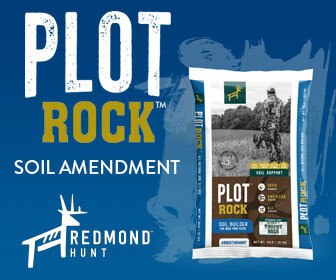 GRANT: Stay tuned to GrowingDeer and we’ll continue sharing these advanced food plot techniques throughout the year. GRANT: I love learning and sharing deer hunting and habitat management techniques with my fellow sportsmen. 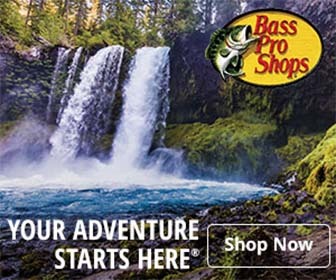 Just this past weekend, I was at the Bass Pro Shops in Springfield, Missouri, along with my fellow RedHead Pro Staffers, Jerry Martin and Allen Treadwell. And we had a great time visiting with hunters. GRANT: We spent a few hours in the hunting department talking hunting and habitat management. A few guys even brought their maps and Daniel and I were able to give some site-specific habitat recommendations for their property. GRANT: Tell me what you’ve got here. ETHAN: Basically, what we’ve got is – mainly, it’s 175-acre block of timber. And we’ve got about an acre and a half food plot here and about three quarters of an acre here. ETHAN: My main problem that I’ve run across is that our bucks leave about mid-December and they don’t show back up until about the Fourth of July. I assume they’re heading this way where he’s got food. ETHAN: Where he’s got more crops and. GRANT: Well, you mentioned these ridgetops. Tough to hunt the valleys because the wind tends to swirl a lot more. GRANT: Just tough to get in there, so, I like long, linear food plots. It seems like it’s tougher to hunt, but it’s just the opposite. Deer are so comfortable ‘cause they’re so close to cover. GRANT: So they’ll stay in there longer. GRANT: Yeah, yeah. (Inaudible) So, a disadvantage of an east/west food plot is, of course, the sun gets it more than a north/south. GRANT: North/south has shade and you don’t lose as much moisture to evaporation. GRANT: East/west you have all day long sunshine. GRANT: You lose some evaporation. Especially in the afternoon when the temperatures are higher and it evaporates water out easier. ETHAN: (Inaudible) Okay. Yeah, ‘cause this is super thick here. GRANT: A little bedding area? ETHAN: Yup. This is a real good bedding area here. ETHAN: This is (Inaudible) very rarely gets hunted. GRANT: I mean, I would even get that stand even closer to the river. ETHAN: Falling off the river. Okay. GRANT: …right in there. Develop a hidey hole food plot and you may only plant in the fall. It may flood out in the spring or something like that. 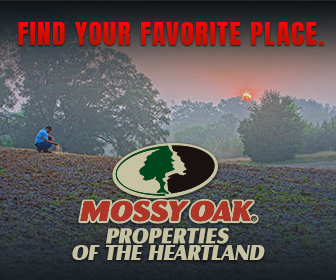 GRANT: Plant you a fall – when it tends to be a drier – food plot right here. GRANT: Knowing that they’re gonna be wherever – coming back to the bedding area and then they’re gonna bottleneck – get a last little snack right there. GRANT: I really like a hidey hole food plot in here. GRANT: And that could be as simple as cutting some trees or hacking, squirting and killing some trees. GRANT: Just to get the sunlight down. ETHAN: Just to get some more sun in there. ETHAN: Yeah. ‘Cause it’s following – this is – falls right down to this. GRANT: But if you’ve got a hidey hole food plot where they can be feeding and get a snack before they go in the bedding area, you’ll pinch a lot of deer down in here. ETHAN: Yeah. I appreciate it. Do you mind if we get a picture? GRANT: No. Daniel will be glad to help us. GRANT: During the afternoon, Jerry, Allen and myself went down to the Uncle Buck’s Auditorium and gave some presentations on turkey hunting techniques. ALLEN: High and a low. JERRY: And all you do is speed that up. ALLEN: So, when you see somebody grab a slate call or something, you think it sounds pretty good – well, the trick to doing it is, is kind of make a little oval. Kind of like an eye, eye shape. You know, like an egg shape or something. And that’s coming up and coming down. That’s giving you. GRANT: Jerry and Allen did a lot of work with helping people with calls and when to use what calls and I shared some of my decoy strategies. GRANT: About the head position – is it looking; is it making nervous; is it feeding; what’s going on? Maybe you want alert. Maybe that’s the type of morning it is. And where the tail is. Because the gobbler’s coming pretty much on a line the last five, ten yards to this tail. UNKNOWN: What brand is that? GRANT: This happens to be a Montana. And the reason I like this is simply – that right there. Because I’ve got usually two hens and a jake in my turkey vest. And because these pack up like a big waffle, I can carry a flock with me without ‘em dinging around or carrying a big decoy bag or something. Just pop it out real quick; put it up. Put the head however I want it – up; down; sideways; whatever I want. Collapse it back up and go again. That’s why I like that. I love that about it. GRANT: And of course, when you get the three of us together, we had to share a few hunting stories along the way. ALLEN: …three longbeards together. I was hunting up in northern Missouri. And they all come across this big plowed field to us. And they come 300 yards from it. You know, all the way across and I got to watch ‘em the whole way. And there was one that never broke strut the entire way across the field. ALLEN: And there was another one that would come into strut and then come out and come into strut and come out. The whole way across. And the third bird never strutted once. GRANT: The calendar is gonna win and it’s gonna warm up soon. But, until then, don’t be bashful about getting outside and enjoying Creation. Take advantage of these cool days. GRANT: But, most importantly, find time every day to slow down, be quiet and listen to what the Creator is saying to you. GRANT: If you want week by week tips on turkey hunting or food plot strategies, simply sign up for the GrowingDeer newsletter.